One of life's greatest conundrums -- keeping your closet organized -- is no easy feat. The solution involves partnering with the leader in closet and storage organization: California Closets of Hawaii. 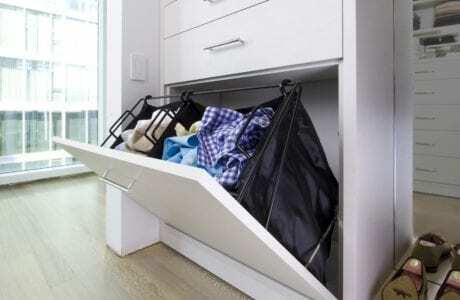 We'll partner with you one-on-one to design and build the best closet organizer solution for your home. Step 1: Design Consultation: Our experts will provide you with a complimentary in-home design consultation to discuss your budget, style and needs. Step 2: Collaboration: Our state-of-the-art platform allows us to create a virtual model of your closet organizer for your space. We’ll make changes with your input to get a final design that meets all of your needs. Step 3: Custom Crafting: Our skilled craftsmen quickly get to work to provide you with superior construction using high-quality North American and European materials. We adhere to rigorous quality standards while utilizing sustainable components as much as possible. Step 4: Installation: Our white glove service means you’ll get installation service that goes above and beyond. We treat your home like it’s our own throughout the installation process. 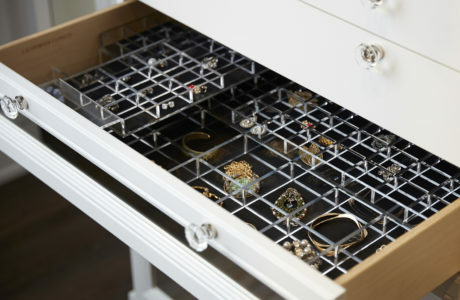 Step 5: Love Your Closet: Finally, your new closet organizer is ready for you to use and love. If you need help with your storage in Hawaii, closet organizers from California Closets are your source for the best in quality, design, construction, and everything in between. Stop by our showroom today to learn more, and schedule your own personal design consultation here in Hawaii to get started.